Taylor-Winfield Technologies, Youngstown, OH, has developed post-weld heattreatment systems to help weld and process coils of advanced high-strength steel (AHSS). Successful installed references include multiple sites around the world, such as the United States, Brazil and Canada. The AnnWeld post-weld induction-annealing system can be integrated into any manufacturer’s existing or new welding setup. 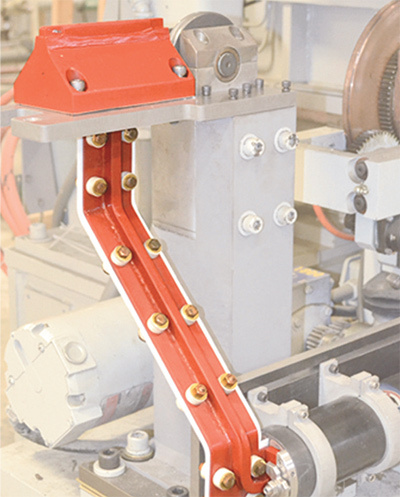 The system, integral to the welding machine, can mount inline or as a stand-alone. The process improves ductility in the welded joint without sacrificing weld strength, to help prevent weld breaks during subsequent line processes. AnnWeld systems include accurate and repeatable heat cycles, precision temperature control using pyrometer feedback, automatic load tuning, and custom manufactured coils sized for use with existing welders. See also: Taylor-Winfield Technologies, Inc.
I’m impressed, I must say. Really rarely do I encounter a blog that’s both educative and entertaining, and let me let you know, you have struck the nail to the head.